When I was asked to develop a recipe using Chex™ Cereal, I knew within ten seconds what I wanted to make, drawing on inspiration from the legendary Chex ™Mix. 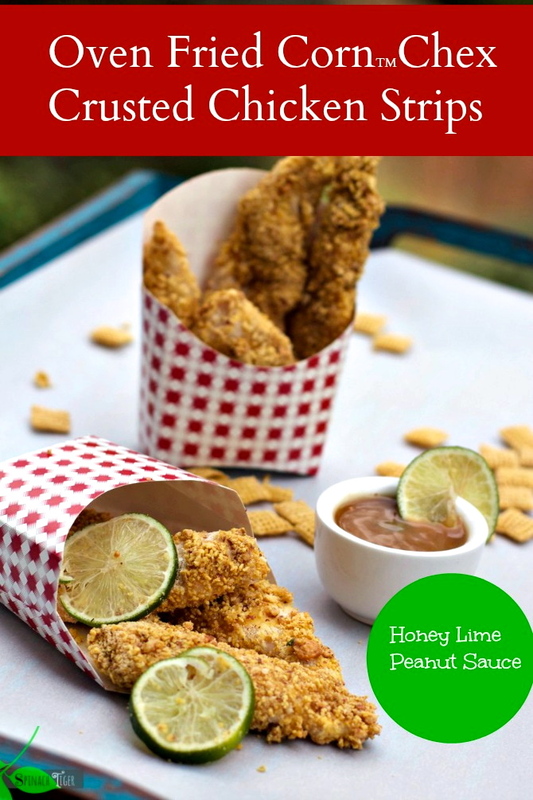 I created Oven fried, Crunchy Nutty Chicken Strips with a Spicy Honey Lime Peanut Sauce. That’s quite a mouthful of description and quite a mouthful of flavor. I knew the recipe would have to have nuts and a little of that same magic the Chex ™ Mix has. It took me a few tries to get the exact texture I was looking for. I wanted the bites to be very crunchy without deep-frying. I successfully oven baked the chicken and was very happy with the results. 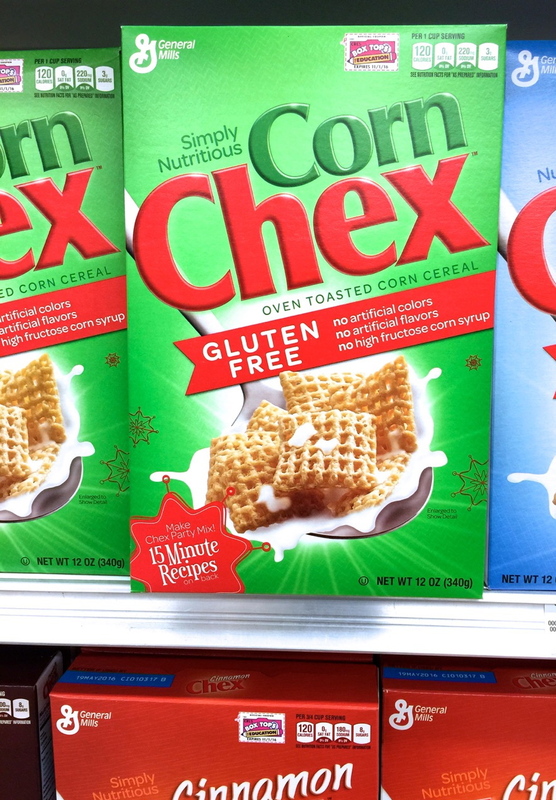 I was happy to see on the box that Corn ™ Chex Cereal is Gluten Free and contains no colors from artificial sources, and no artificial flavors or high fructose corn syrup. The cereal is light and only 120 calories per cup, making it a great ingredient to cook with in addition to having for breakfast. 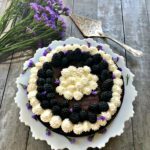 In choosing my recipes, I am always thinking about other moms and dads who are looking for healthy, easy and satisfying ways to feed their families. That’s very important to me, because if we prepare our own food and involve our children, we enrich our family life and our health. Engaging everyone in the cooking process helps a family bond, and helps children establish good habits. Mixing Corn ™ Chex and Chopped Peanuts gave me the crunch I was looking for and I didn’t have to deep fry them. I dredged the chicken strips first in coconut flour, then egg, then into a mixture of Corn ™ Chex and chopped peanuts, and then oven baked for a 14 minutes, which gave me time to make the sauce. Adding a finely chopped herb such as parsley, basil or cilantro works well for garnish, adding that little bit of color and extra flavor. These chicken strips make a great party food. Use lettuce leaves. Drizzle the sauce in advance and top with even more of the crunchy Corn ™ Chex Cereal peanut topping. 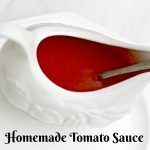 I tested this recipe three times to make sure you will find it easy and delicious. You can use a food processor, and get your kids to press the button. Boys especially seem to love button pressing gadgets in the kitchen. 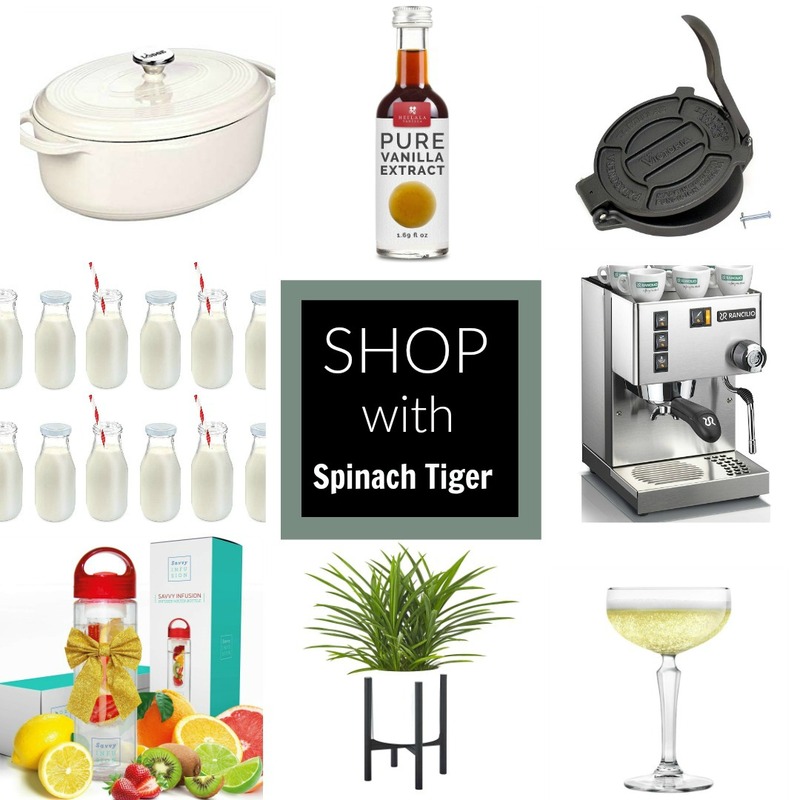 Or you could just use a rolling pin. You will need to process the cereal and the peanuts separately and then mix them together. 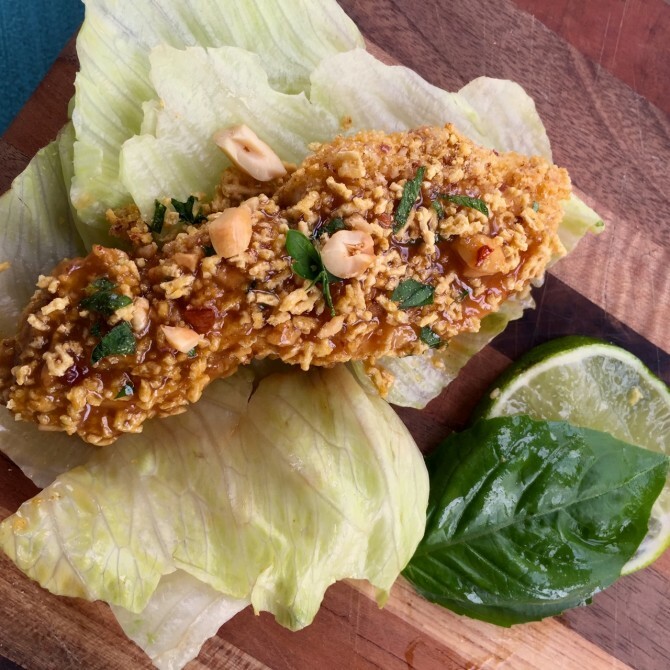 The end result was crunchy, nutty, and when dipped into the spicy, peanut lime sauce, it became a perfect bite. A bit of brainstorming led me to thinking about all the ways we could eat these. Serve chicken strips with a carrot slaw stir fry. 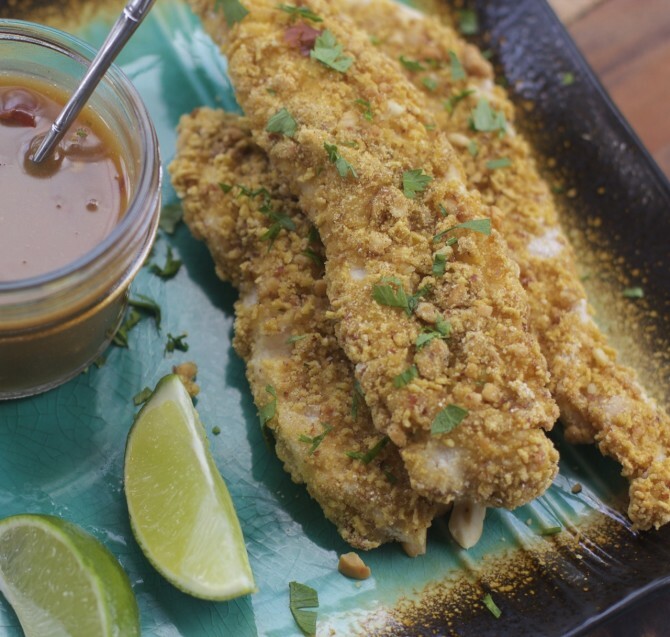 Serve chicken strips on a salad, using the peanut lime sauce to make a dressing. Add 3-4 tablespoons of olive oil to the sauce. Serve chicken strips over rice noodles, tossed with peanut sauce. Serve chicken strips with a homemade ranch dressing, ketchup or honey mustard for a traditional take. 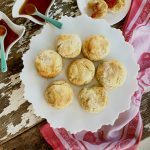 Make small bite sized nuggets. 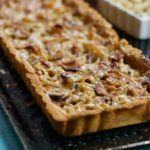 If you have peanut issues, you can substitute another nut such as almonds, pecans or cashews or no nuts and serve with ketchup. 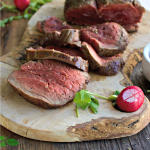 So tell me, do you have any go to meals that you can cook for your family in under thirty minutes? 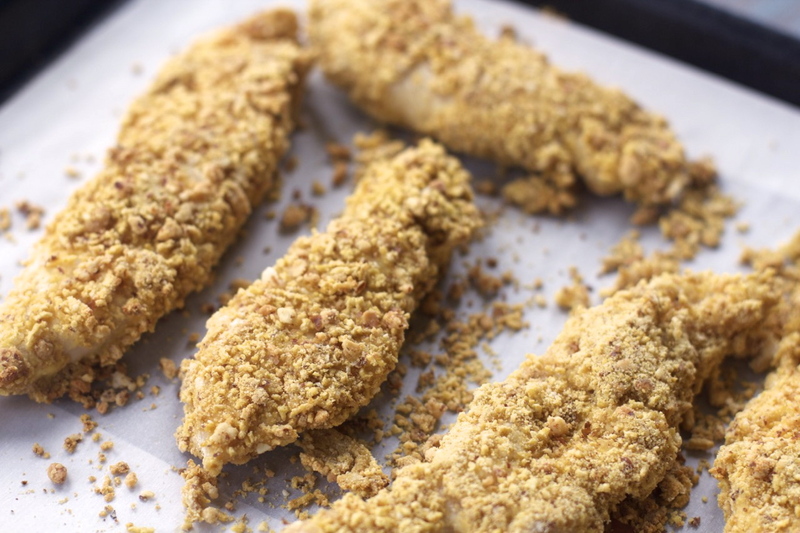 And, how might you serve these peanut Corn ™ Chex Cereal crusted Chicken strips? You can connect with Chex on Facebook, Pinterest, and Twitter and for more inspiration. 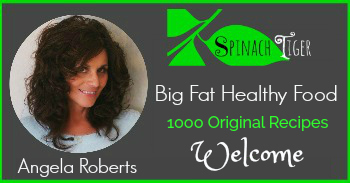 I would love to connect with you on facebook and instagram where I share cooking tips and my latest photos and recipes. Oven Baked, Not Fried, Crunchy Corn™Chex Crusted Chicken with Spicy Honey Lime Peanut Sauce, great for kids, and parties. Season chicken strips with salt. Using a food processor or rolling pin, crush the cereal. Mix together the crushed cereal and peanuts. Dredge chicken strips in coconut flour, then egg mixture, then Corn™Chex and Peanut Mixture. Bake at 425 for 14 minutes. Turn over at 7 minutes. Combine all ingredients to make sauce. You can add more or less peanut butter and chili flakes to your own taste. Oh man! This looks so good. I’m loving the textures and flavors. It all looks so good. YUM! Yum! These sound deliciously flavorful. 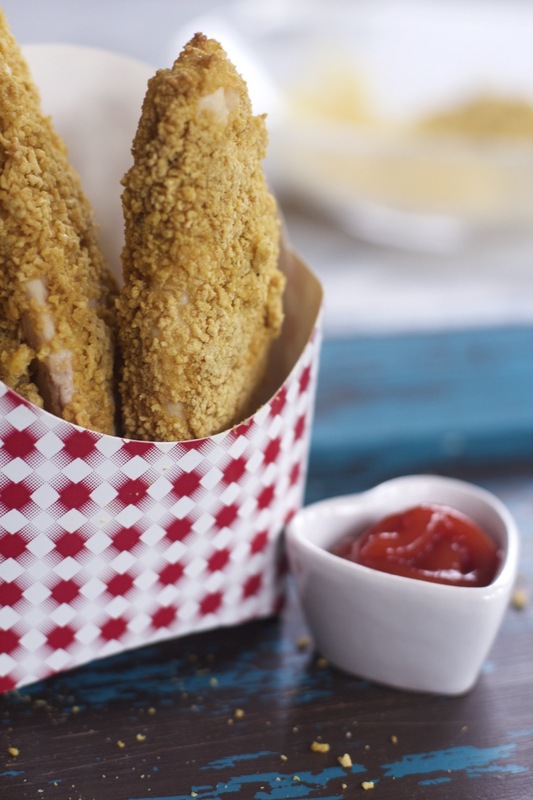 We love making tenders in our home since they cook up quicker than chicken breasts so we’ll definitely be trying these. What a great recipe. I love that you also use coconut flour. The entire thing could be gluten free if you make sure to use gluten free soy sauce. Can’t wait to try this sometime. 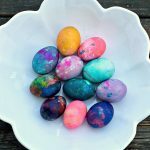 What a fun recipe and great use of gluten free chex mix. I especially like the dipping sauce.